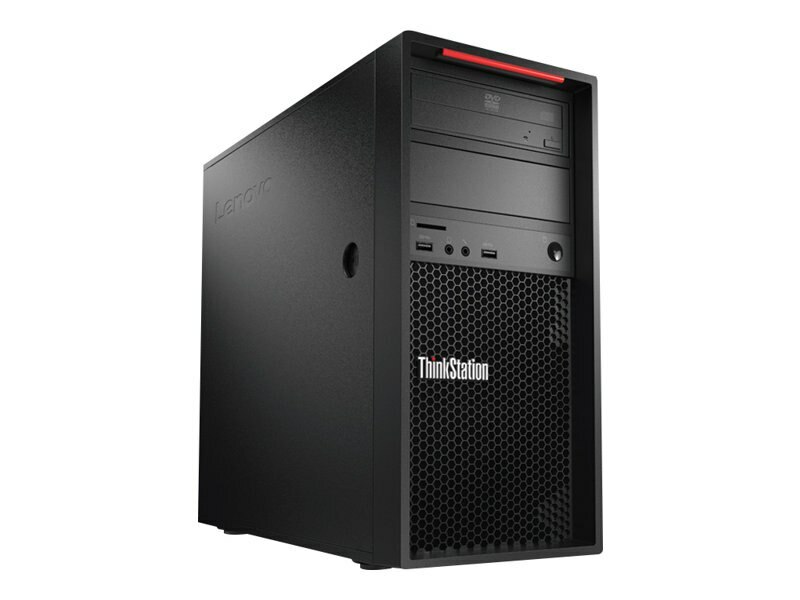 From large workloads to multitasking, the compact ThinkStation P520c breezes through it all. With fast processing, graphics, storage, and memory, this configurable workstation is a solid workhorse. Trusted Platform Module, TCG 2.0 compliant, switch to 1.2 via UEFI setting. Optional Kensington lock and pad lock. Two PCIe 3.0 x16 slots. Up to one NVIDIA Quadro P5000 plus one Quadro P2000, or up to two Quadro P4000. Other graphics adapters under 75W up to 2. 8GB (1x8GB) 2666MHz ECC RDIMM DDR4 SDRAM, upgradeable to 128GB. There are four DIMM slots with four channels. One slot is occupied by a removable 8GB module; the other slots are open. DDR4 up to 2666MHz. Processor speeds may truncate based on processor. Video memory: discrete nVidia Quadro P2000 graphics with 5GB dedicated video RAM. Up to three PCIe 3.0 x4 adapters; each adapter supports one M.2 slot. NOTE: Only one can be supported from 15-in-1 reader, Thunderbolt, and 4-digit display. Integrated Intel SATA AHCI/RAID controller. 6Gbps SATA, supports RAID levels 0/1/5/10. Intel I219LM controller. Supports Wake-in-LAN. Limited warranty includes onsite service with 9x5 next business day response time.